ML for science; MRI monitors EM brain signals; terahertz data links prone to eavesdropping. To better tailor machine learning for effective use in scientific research, the U.S. Department of Energy has awarded a collaborative grant to a group of researchers, including UC Santa Barbara mathematician Paul Atzberger, to establish a new data science research center. According to UCSB, the Physics-Informed Learning Machines for Multiscale and Multiphysics Problems (PhILMs MMICCs) will innovate on existing machine learning techniques and develop new ones that are better adapted to problems in the sciences and engineering. PhiILMs will be a collaboration between Atzberger and his colleagues at Stanford University, Brown University, and MIT. Atzberger said many current machine learning methods attracting attention were developed to process languages or classify images, and while these data-driven techniques work well, and currently provide state-of-the-art performance, they make very different assumptions than those that arise in scientific and engineering problems. For instance, a technique used to process language does not include principles like conservation laws for mass, momentum and energy, which are fundamental constraints in many physics problems. As such, researchers need machine learning tools that incorporate more structure from subject knowledge into a technique’s framework. To this point, the team will develop mathematical frameworks and develop new machine learning methods incorporating such principles, along with a computational tools that will be made available to the wider global research community. Researchers commonly study brain function by monitoring two types of electromagnetism —- electric fields and light — but most methods for measuring these phenomena in the brain are very invasive. MIT engineers have now devised a new technique to detect either electrical activity or optical signals in the brain using a minimally invasive sensor for magnetic resonance imaging (MRI). MIT engineers developed this sensor that can be used to measure optical and electrical signals in the brain, using MRI. MRI is often used to measure changes in blood flow that indirectly represent brain activity, but the MIT team has devised a new type of MRI sensor that can detect tiny electrical currents, as well as light produced by luminescent proteins. They reminded that electrical impulses arise from the brain’s internal communications, and optical signals can be produced by a variety of molecules developed by chemists and bioengineers. MRI offers a way to sense things from the outside of the body in a minimally invasive fashion, does not require a wired connection into the brain, and the sensor can be implanted, and left there. The team said this kind of sensor could give neuroscientists a spatially accurate way to pinpoint electrical activity in the brain. It can also be used to measure light, and could be adapted to measure chemicals such as glucose, for example. 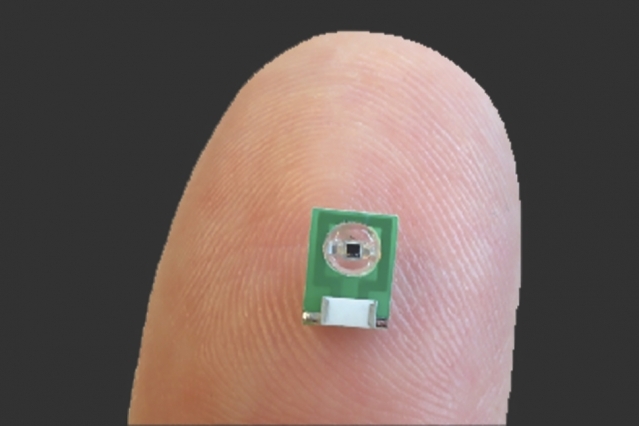 The team is interested in using this type of sensor to detect neural signals in the brain, and they envision that it could also be used to monitor electromagnetic phenomena elsewhere in the body, including muscle contractions or cardiac activity. Researchers from Rice University, Brown University and the University at Buffalo have shown that terahertz data links, which may play a role in ultrahigh-speed wireless data networks of the future, are not as immune to eavesdropping as many have assumed. A new study shows it is possible for a clever eavesdropper to intercept a signal from a terahertz transmitter without the intrusion being detected at the receiver. What makes terahertz such an attractive option for use in future wireless networks is that due to its higher frequency, terahertz radiation can carry up to 100 times more data than the microwaves used in wireless communication today, the team reminded. Along with enhanced bandwidth, it has also been generally assumed that the way in which high-frequency waves propagate would naturally enhance security. “The conventional wisdom in the terahertz community has been that it’s virtually impossible to spy on a terahertz data link without the attack being noticed but we show that undetected eavesdropping in the terahertz realm is easier than most people had assumed and that we need to be thinking about security issues as we think about designing network architectures,” said study co-author Daniel Mittleman, a professor in Brown’s School of Engineering. The bottom line is that while there are inherent security enhancements associated with terahertz links in comparison with lower frequencies, these security improvements are still far from foolproof.